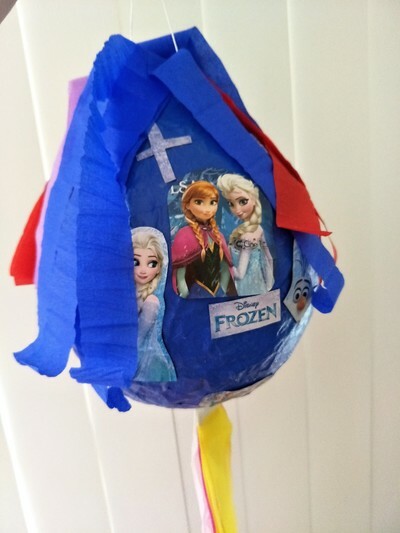 This simple Frozen pinata is just the thing to complete a Frozen theme party. I've seen some stunning home-made pinatas on the Internet but they are way too complicated to get little kids involved in. 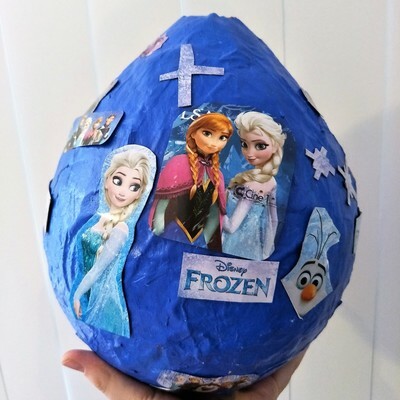 This Frozen pinata was made with substantial help from a soon-to-be 3 year old so it is suitable for even the youngest of children. In the months leading up to the party, keep an eye out for Frozen pictures that you can cut out and use. I used pictures from an Easter gift as well as a book of Frozen stickers from a $2 shop. This pinata will take a while to make, due to drying time between layers, so make sure you start a few weeks out from the party. This one took seven separate sessions to make. To make a pinata to suit another party theme, simply change the colour of the paint, streamers and use appropriate pictures for your theme. Attach string to the balloon so you can hang it up to dry. Do it now before things get messy. 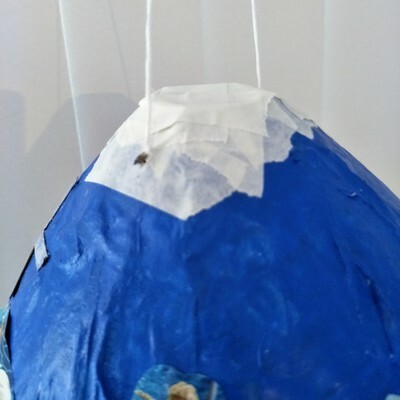 Dip the newspaper pieces in the paper mache glue and lay the pieces over the balloon until the balloon is entirely covered except for a few centimetres around the knot of the balloon. 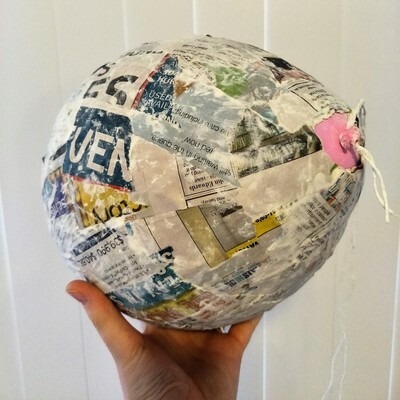 Allow the paper mache to dry then repeat with more layers of newspaper until you feel the paper mache is strong enough to be strung up and take a few whacks before it will break. In my case it was 3 layers but this will vary depending on your technique. You can speed up the drying process by placing the pinata in the sun, or by using a hair dryer. When the paper mache is completely dry, paint it blue. Glue cardboard pictures to the pinata. You can lightly fold the cardboard pictures to give them a "curve" so they are easier to glue to the curved pinata. Add stickers to the pinata. Put lollies/toys inside the pinata. Make a hole in the pinata and add string. Cover the hole with masking tape. Make some holes in the pinata (in the masking tape for extra reinforcement) and tie string to the pinata so that it can be strung up at the party. Cover over the hole in the pinata with masking tape. Paint over the masking tape with the blue paint to hide the tape. Attach streamers to the top and bottom of the pinata. 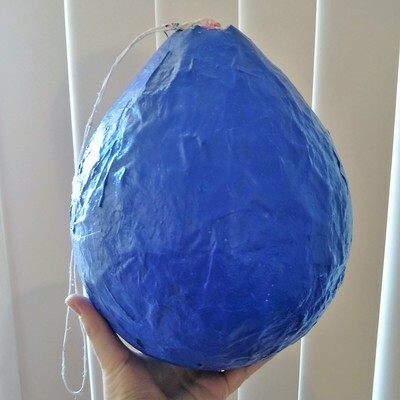 HINT: If your balloon starts to shrink while you are building up your paper mache layers, before starting on the next layer, pop the balloon and blow up another one inside the pinata until it fits snugly inside the pinata.